Pro-Kolin Advanced can be given up to three times daily, depending on severity. Pro-Kolin Advanced has a 2 year shelf life from the date of manufacture. Once open replace the lid securely and store in a cool dry area. Stored correctly Pro-Kolin Advanced will last until the Best Before End date even if it has been opened. Artificial chicken flavouring- To improve palatability and compliance. 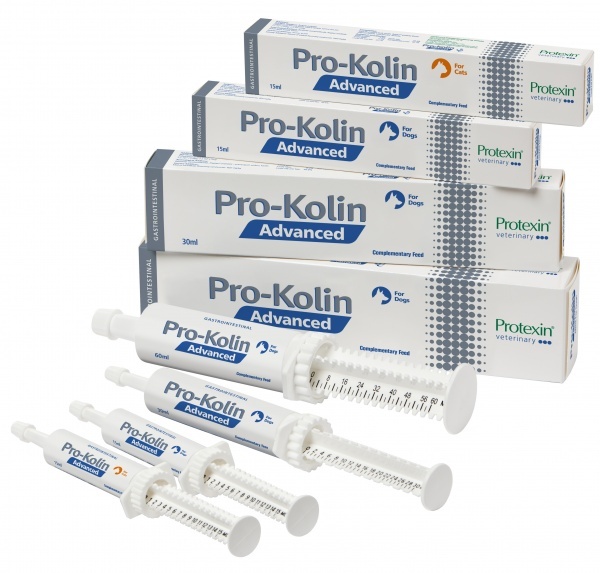 Pro-Kolin Advanced is a highly palatable paste which is available in 15ml syringe with easy to read graduations, making the product easy to administer. Pro-Kolin Advanced Cats can be given up to three times daily, depending on severity. There are currently no questions for Protexin Pro-Kolin Advanced - be the first to ask one!